Chilliwack ( With files from News1130/Fraser Health) – Fraser Health has issued an advisory for raw ground beef products produced by Fraser Valley Meats. A sample tested positive, but Fraser Health says there were no food safety issues with the process in which the products were prepared. The source has yet to be determined. No illnesses have been reported, but Fraser Valley Meats has offered a voluntary recall for products bought between March 5th and March 8th. Only ground beef sold at the butcher shop are included in the advisory — not meats that were distributed to other stores. 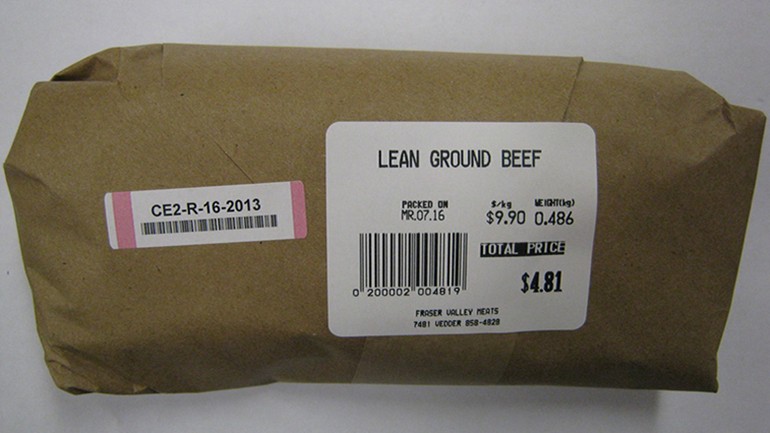 If you bought ground beef directly from Fraser Valley Meats, you are asked to return it or throw it away. Be the first to comment on "Possible E Coli Contamination From Chilliwack Butcher Shop"